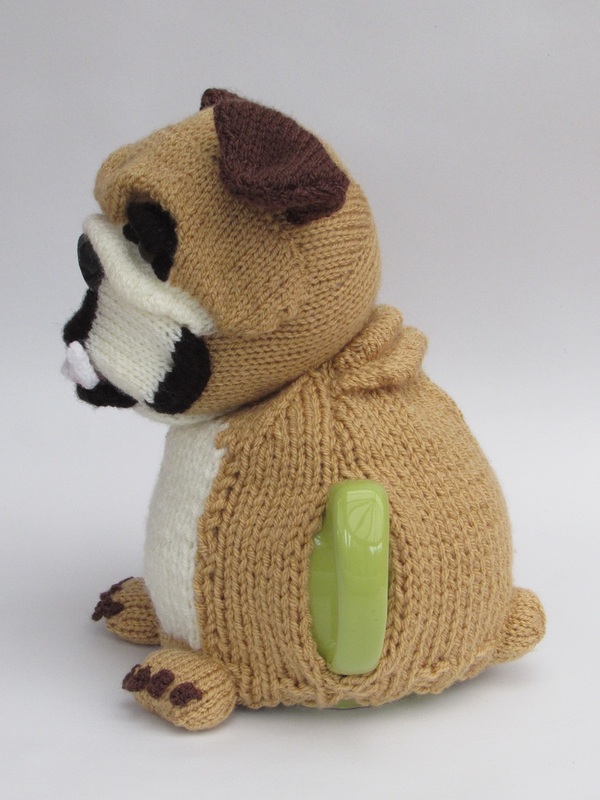 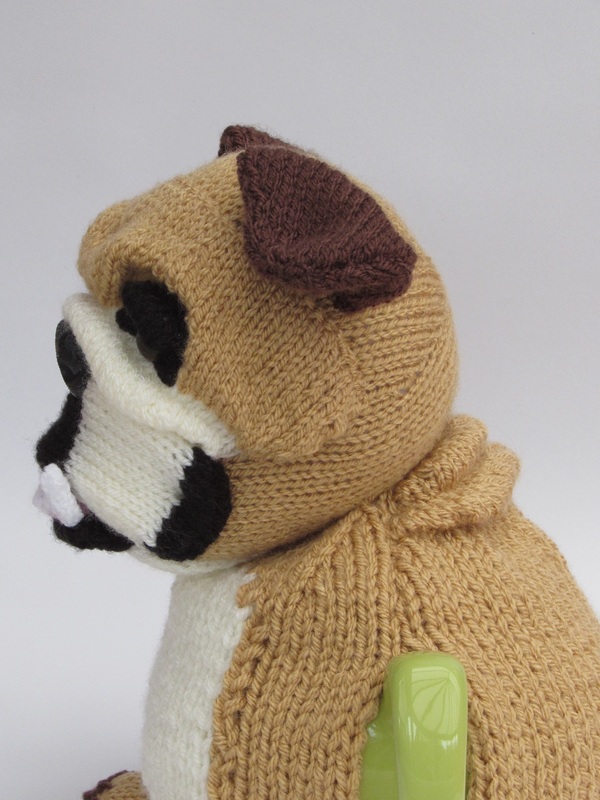 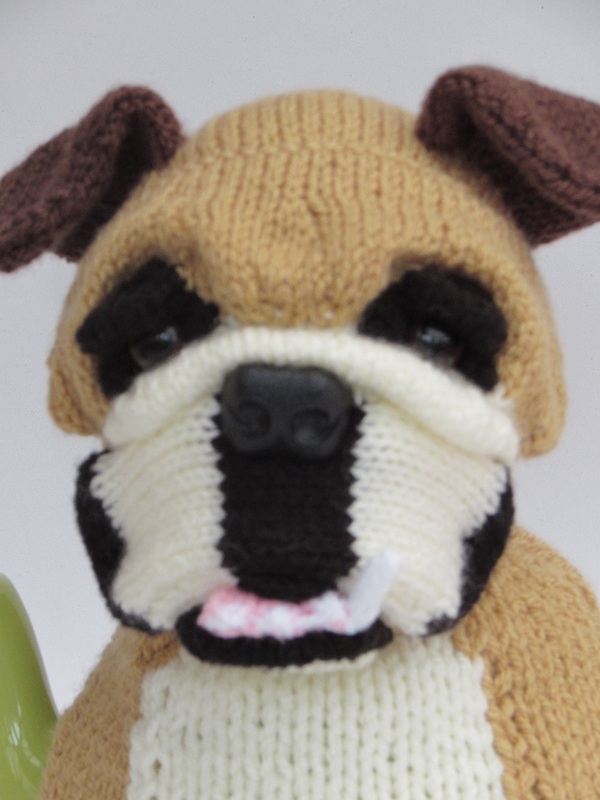 I was commissioned to design a British Bulldog based on a treasured pet - Big Norm (see photos). 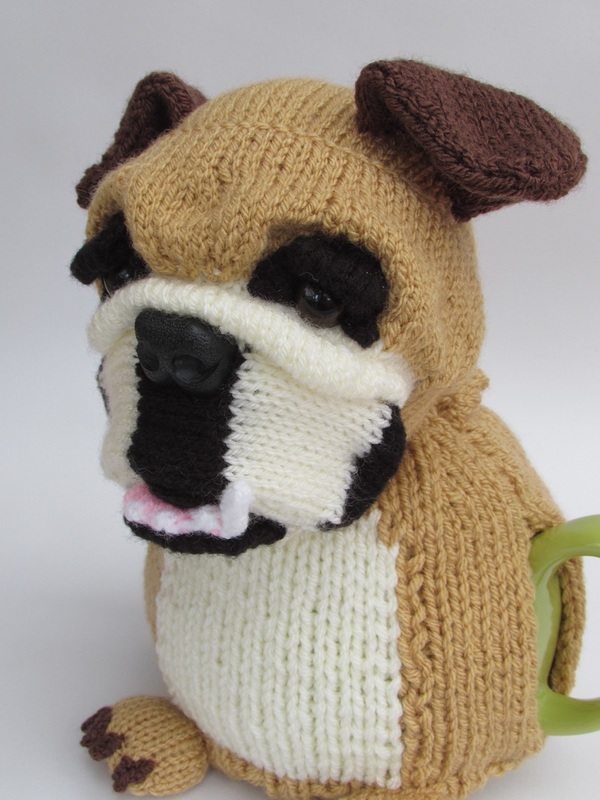 The challenge of designing the bulldog was his wrinkles, he has a few on the back of his neck and some more on his face. 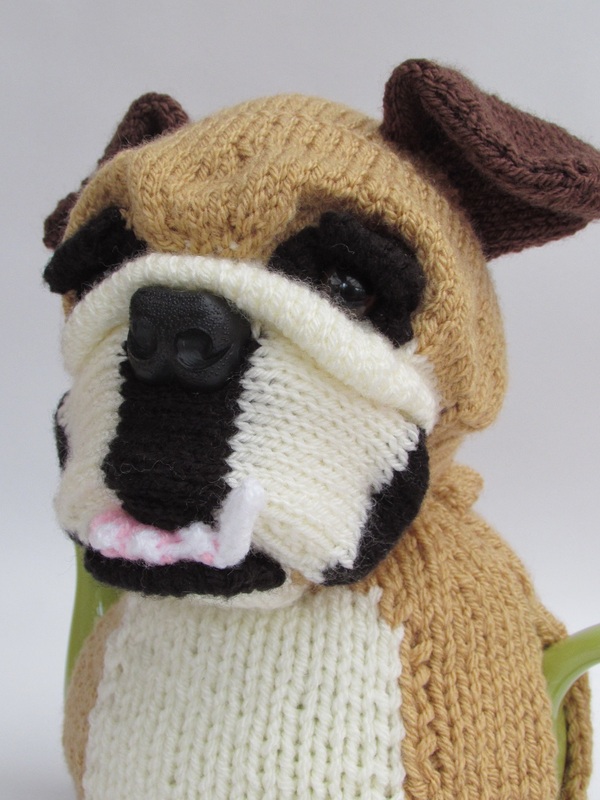 The face has a nice expression with a snaggletooth showing, more wrinkles on his eyelids, and his floppy ears are very endearing. 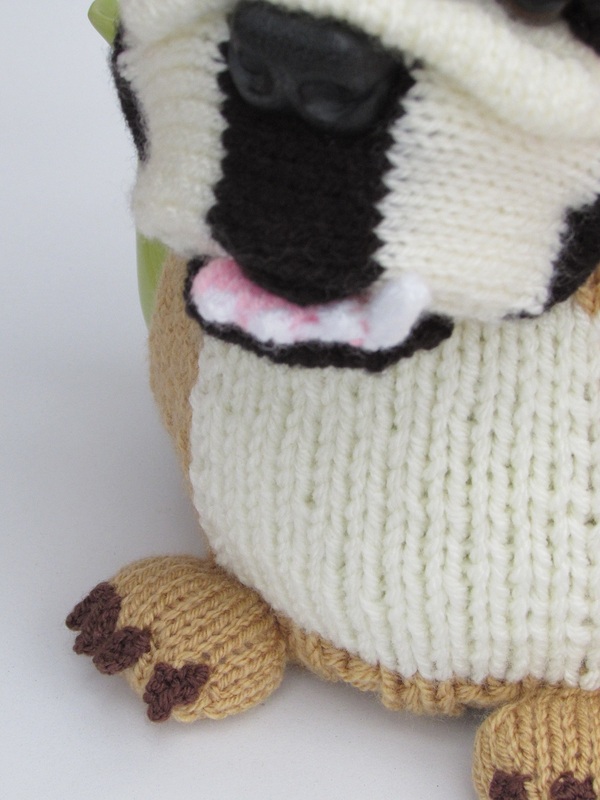 He also have cute paws with claws and round the back a tail. 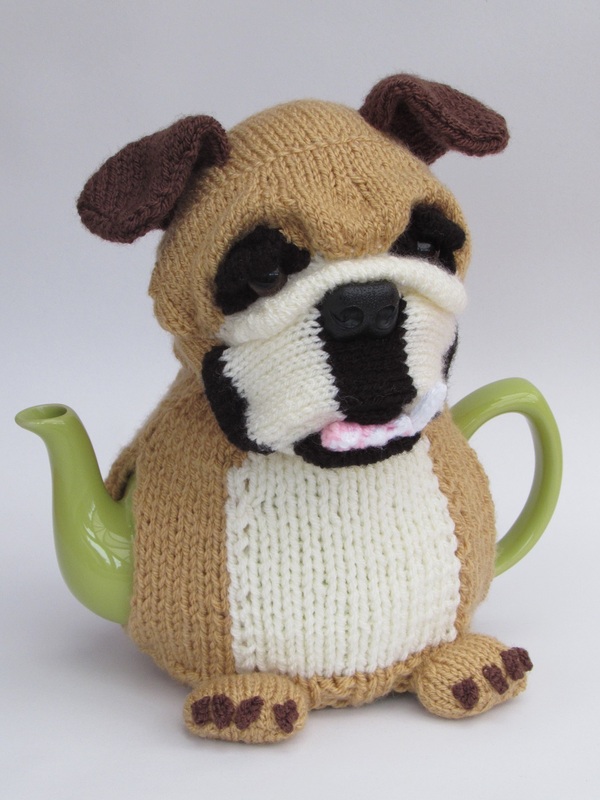 A sitting bulldog is the perfect shape for a tea cosy because they are round and stocky, like a teapot. 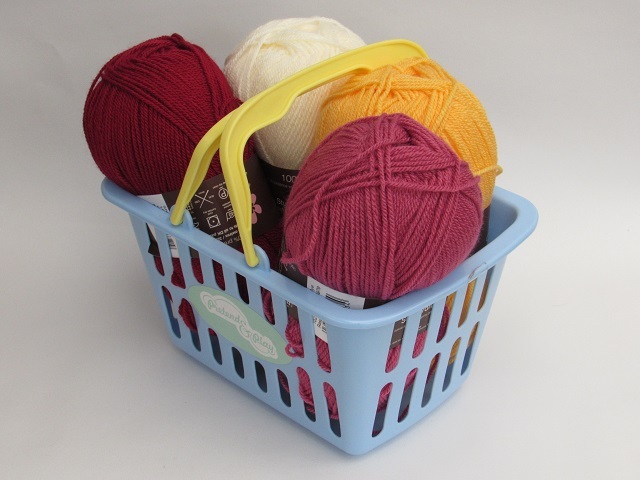 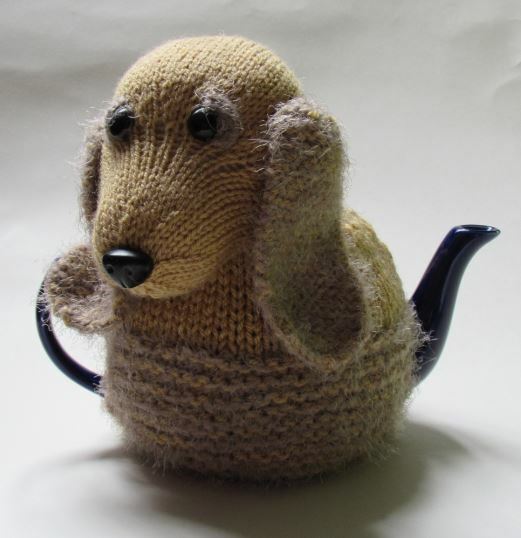 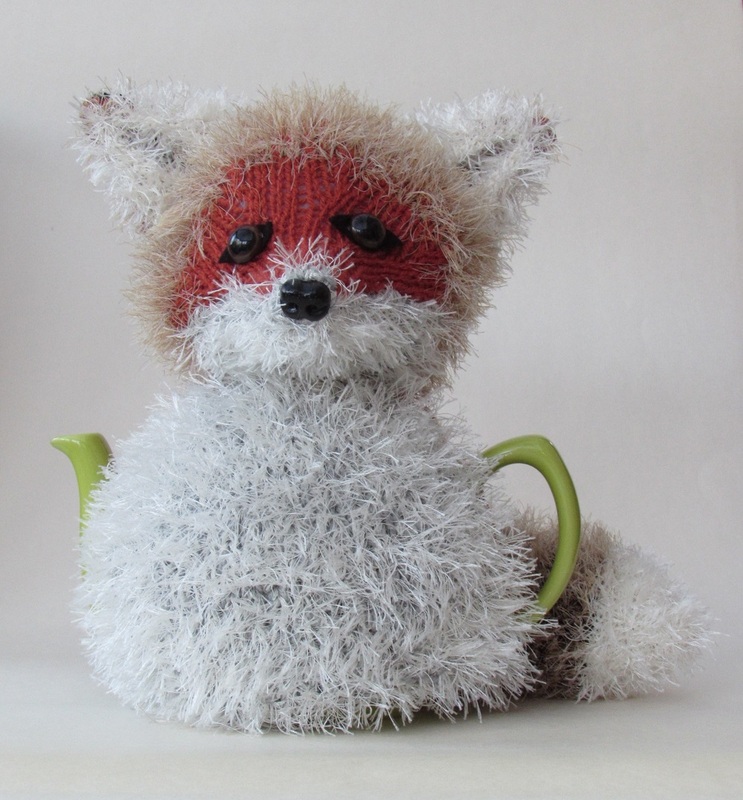 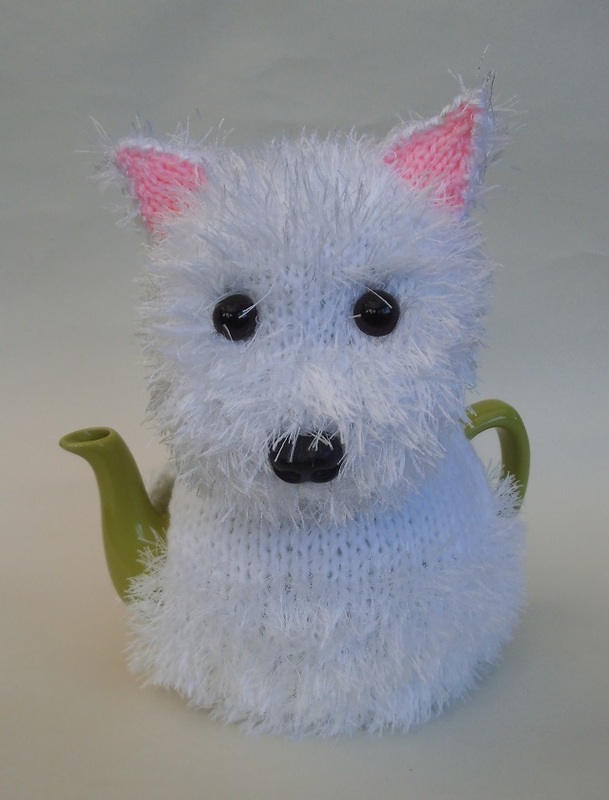 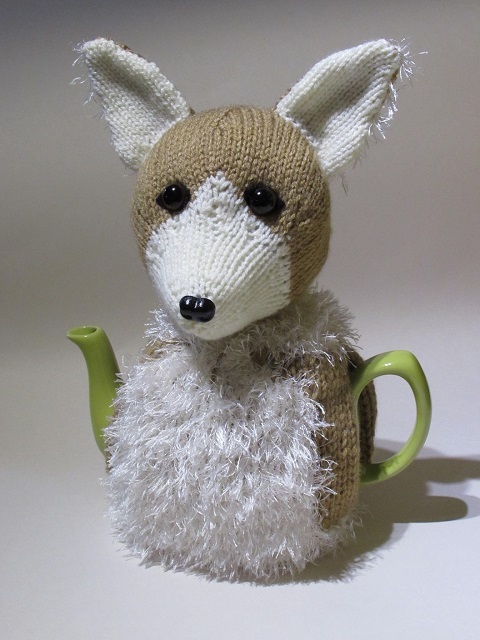 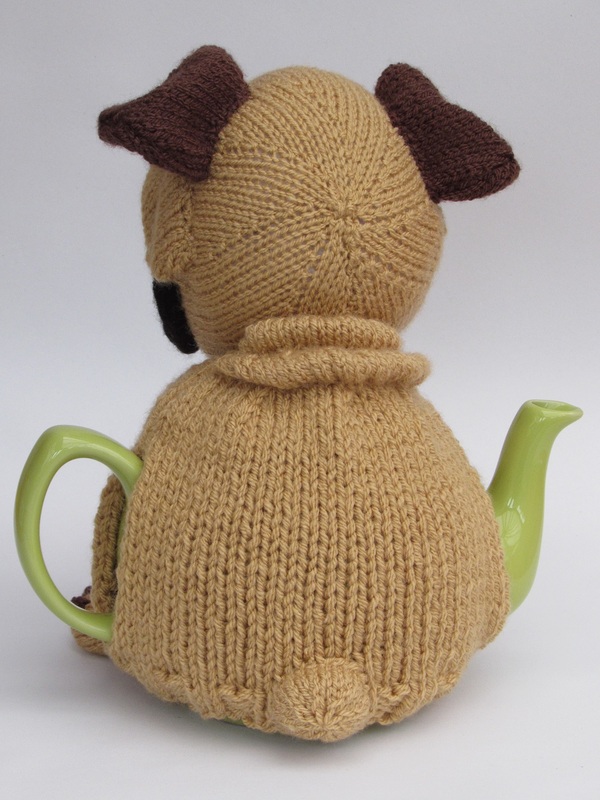 The tea cosy can be knitted to any colour to look like your pet. 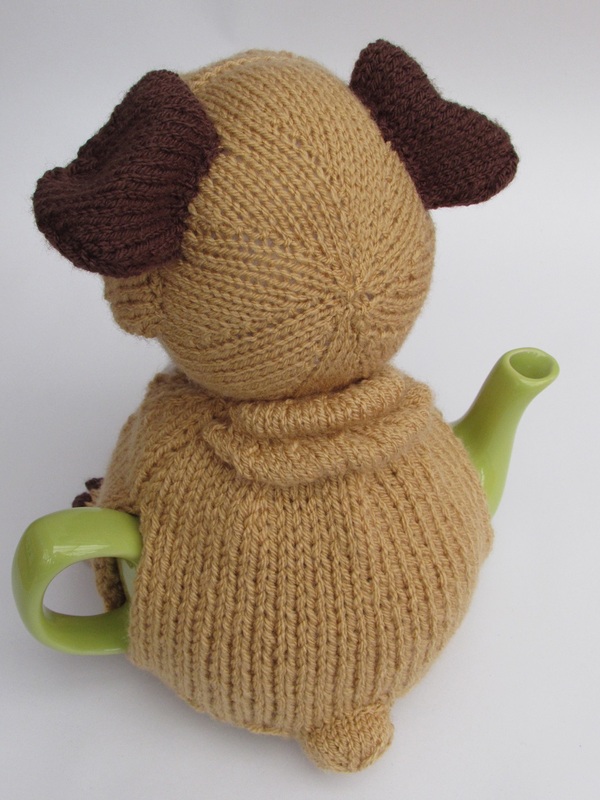 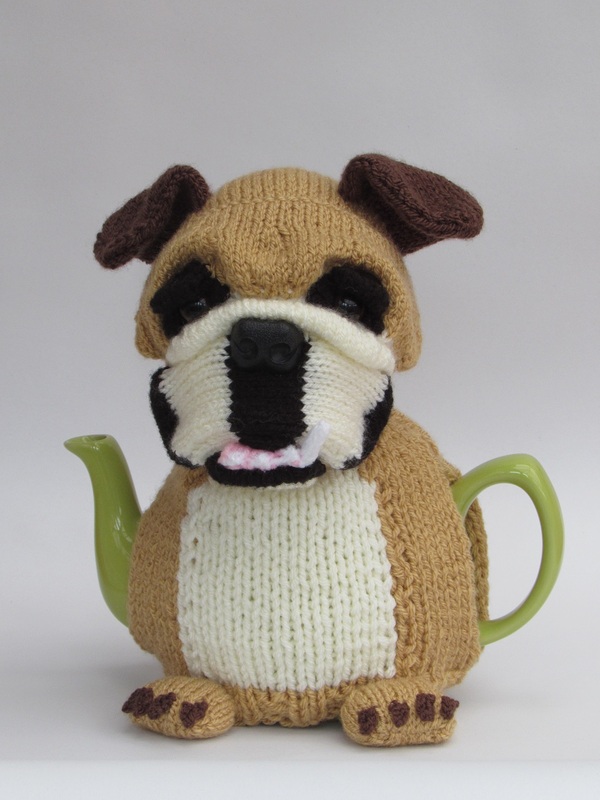 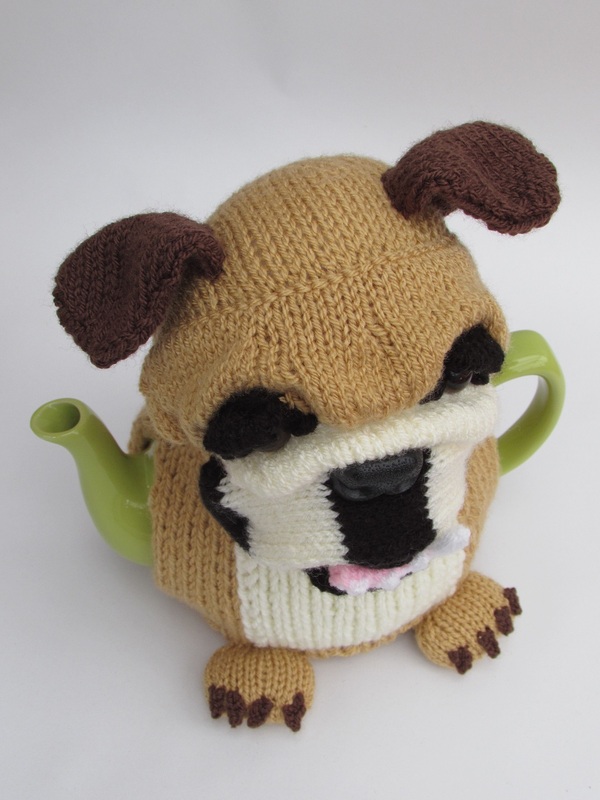 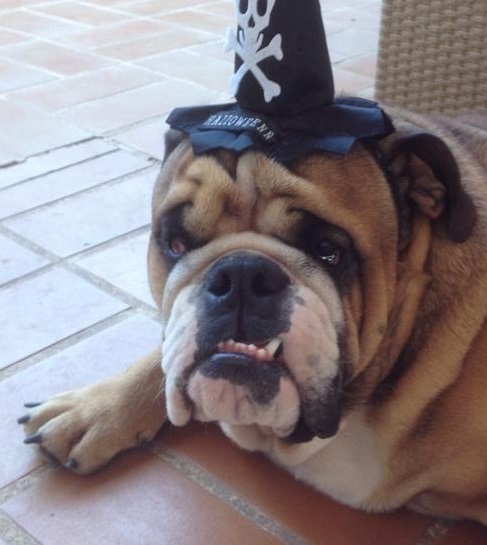 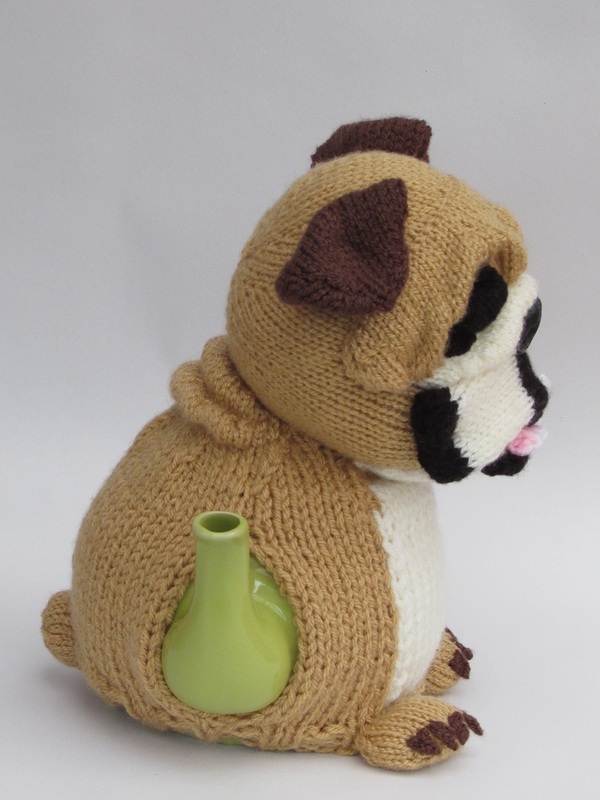 The British bulldog tea cosy is the cutest way to keep your teapot hot bulldog style.